Here’s the buzz on recording bees! I knew about buzz pollination from watching David Attenborough’s Life of Insects on TV a few years ago. Some bees could buzz at a certain pitch to release pollen from certain flowers. “Middle C…”, said David Attenborough, “…the pitch has to be Middle C”. I was intrigued as I’d never heard about this before. Then one spring morning in 2016, on my woodland property in Capertee Valley, New South Wales, yellow guinea flowers began to bloom and I could hear the conspicuous flight hum of a very large and shiny black bee. It buzzed loudly as it settled on each flower, before zooming off to the next one. This was a female Australian carpenter bee Xylocopa aeratus, and I was keen to get a photo and to record its buzz. Female carpenter bee Xylocopa aeratus buzzing a guinea flower Hibbertia obtusifolia, Capertee Valley NSW, 8 November 2016. I waited amidst the low-growing guinea flower shrubs, seated on a folding stool, camera and recorder at the ready. It became a daily ritual – at dawn each day I’d go off to watch bees buzzing. As well as the big, black carpenter bees there were also smaller native bees, all buzzing the guinea flowers and collecting pollen. I took photos and made videos with my Lumix pocket camera, and recorded the buzzing sounds on my Olympus LS10, using its built-in mics or a Sennheiser ME66 gun microphone. 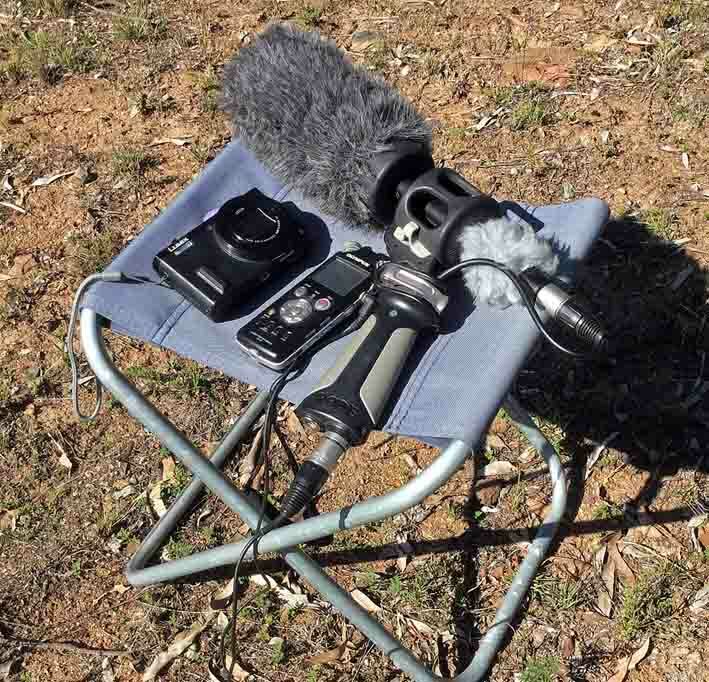 My bee recording kit – folding stool, Lumix DCM-TZ60 camera, Olympus LS10 audio recorder and Sennheiser ME66 supercardoid microphone in pistol grip. Of course I was keen to know if all my bees buzzed at Middle C, so I analyzed the recordings to find the fundamental pitch of the pollination buzz for each bee species. For this I downloaded free Praat software, and learned how to use it from a YouTube video. My findings were exciting! These Capertee Valley bees buzzed at a wide range of frequencies – up to one octave either side of Middle C! The pitch of the buzz did not relate to the size of the bee, nor to the size of the flower. 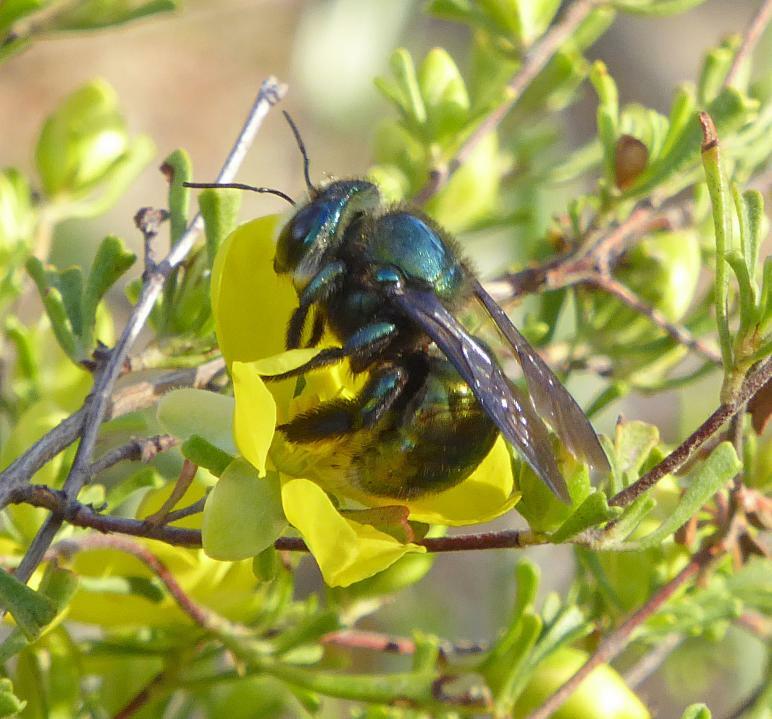 Audio: Female carpenter bee, Xylocopa aeratus. The higher-pitched pollination buzz alternates with the flight hum. 30 October 2016, 7.19 am EST, ME66 gun mic to Olympus LS10. How can sound deepen our understanding of the environment? What role can acoustic monitoring play in helping identify the presence of animals in a habitat? What indications of ecosystem health may analysis of soundscapes offer? And how can artists and musicians respond to the natural environment and scientific data through creative engagement? 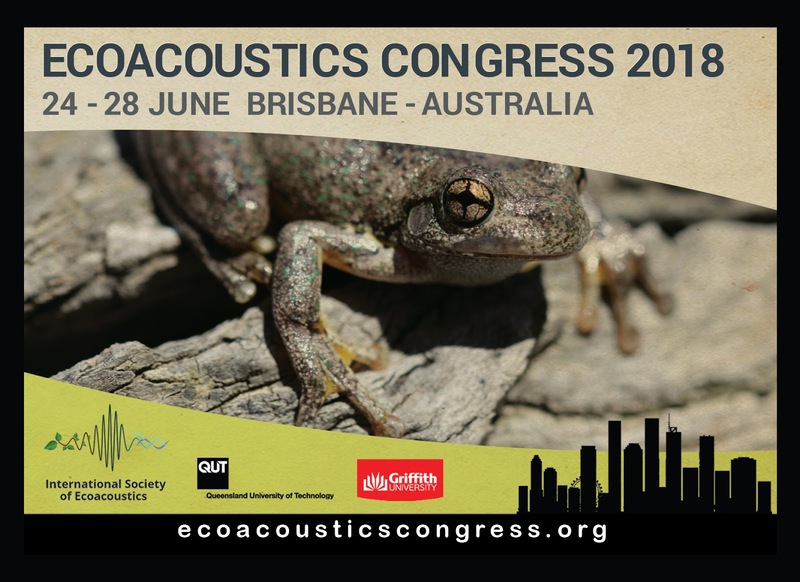 These questions and more will bring researchers and artists from the world to Brisbane this June for the biennial Ecoacoustics Congress.